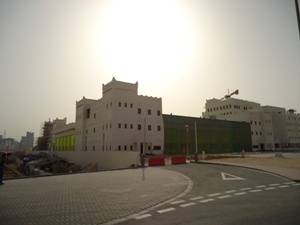 OCSC welcomes the recent opening of the new Civil Defence Headquarters in Doha, Qatar. 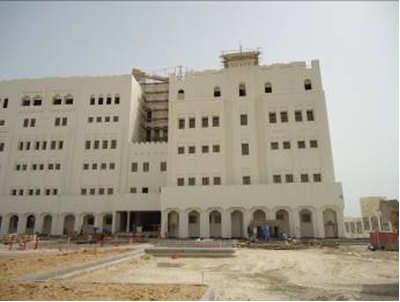 OCSC provided site supervision and project management services to the Qatar Ministry of the Interior on this prestigious €60 million/30,000 m2 state of the art project. The Chairman of the Administrative Control and Transparency Authority H E Abdullah bin Hamad Al Attiyah opened the facility in the presence of the Minister of State for Interior Affairs H E Sheikh Abdullah bin Nasser bin Khalifa Al Thani, Minister of Municipality and Urban Planning H E Sheikh Abdulrahman bin Khalifa Al Thani and other senior officials of the MoI. The complex includes a library, conference halls, health club, swimming pool, play yard, a well-equipped auditorium with 256 seats and a mosque. The new headquarters comprises four main departments of the Civil Defence – Fire Prevention Department, Operations Department, Logistics Department and Administrative Department. The facility also includes a play hall, library, auditorium for 256 persons, swimming pool, rest area, administrative offices and the biggest fire station in Qatar.